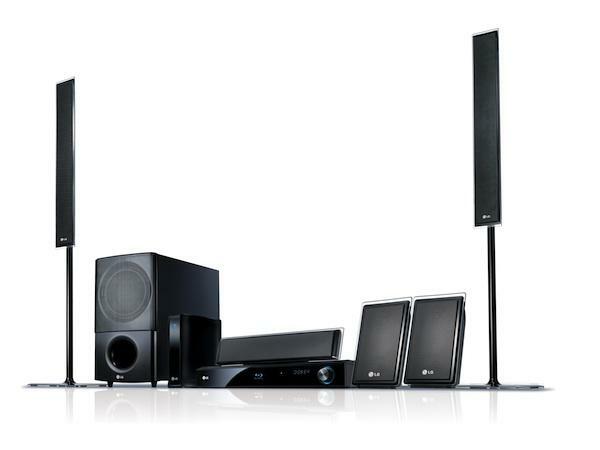 Just announced at CES 2010, aside from the usual set of Blu-Ray and home theatre features (you know, 5.1 channel surround sound, wireless rear speakers, subwoofer, etc. ), the LG LHB975 also features Ethernet and Wifi and a range of built-in Web apps that let you connect to dozens of online media services. All of these are accessible directly from the box and can be used via its remote. Just one more way the Web (or at least parts of it) can be piped directly to your telly. You can also access contact wirelessly from a variety of other devices, as the LG LHB975 is DLNA certified. So if you get bored with YouTube, you can watch the camera phone videos you took on your DLNA-equipped mobile phone (which most of them are these days). If you’re still bored, the LHB975 also comes with an iPod dock, which, with its the LHB975’s Watts of power, should help you enjoy your music, even if you’re 30 miles away!